This is a two bedroom house with a king size bed in the master bedroom and a full size in the guest bedroom. The bathroom has a jacuzzi tub and large shower. There is wi-if, cable to, a patio and all amenities. This property sleeps 4 and is PET FRIENDLY. The rental comes with private access to the Owenego Beach Club with up to 4 people. Walk to private beach, restaurants, fish market and liquor store. Kayaking, fishing, biking, beach club access. Take a boat ride through the Thimble Islands. 5 minutes to town shops and markets. 10 minutes to New Haven. 5 minutes to train and free parking. Forty minutes to casino and Mystic Seaport. Beach, beach club access. -Eateries within walking distance- Lenny's Seafood, Indian Neck Pizza, E. McHenry's Irish Pub,The Stand ( Barbecue,smoked food and bar) Owenego Club, Guacamole Mexican restaurant, vegetable stand. 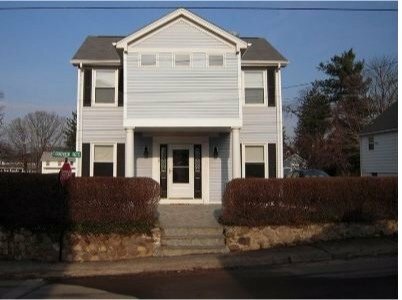 Walk to restaurants, close to train and downtown. You can reach me anytime if you need anything. The house is very nice, clean, and has everything for an awesome beach vacation! It is right next to the beach and Owenego Beach club with a park, tennis courts, and a playground. There are three restaurants and a fish market within walking distance. We highly recommend this property and hope to come back next summer. Enjoyed my stay in Branford. The house is clean and homey. Is equipped with everything you need. Great location. We walked to Lenny's restaurant and Bud's fish market. Everyone was friendly. At Bud's they will even steam lobster and clams for you. You tell them how many and what time. The Owenego Beach Club is also right around the corner. A few friends met me there and it was no hassle. An overall great experience. The owner always responded quickly to any questions. Would recommend it for everyone. A wonderful stay in a charming beach home in CT! This home was spacious, well kept, clean and stocked with everything we needed for our vacation. Its exactly as pictured and described on this site.The location was perfect (There is a great seafood restaurant named Lenny's right around the corner! ), and the owner was very responsive to any questions we had. We will definitely stay here the next time we visit CT. The house was perfect for my husband and I visiting family nearby for Thanksgiving. It was charming, clean and also well stocked for any cooking/baking needs. The bedrooms had plenty of space with comfortable beds and plenty of blankets and towels. The location was great for being close to the water with a couple of good restaurants within walking distance. There is also easy access to the Town Greene with more good food and shops. We also enjoyed the Branford Christmas parade and tree lighting on the Green, the Saturday after Thanksgiving. Terri was quick to respond to any questions and pleasant to work with. I look forward to staying here again in the future! The perfect place to stay for our visit during our daughter's fall break from Yale. The house is just 15 minutes from the college but a world away from the busyness of New haven itself. It felt like home as soon as we stepped inside, with everything we needed. We had packed light as we were travelling from the UK so it was really useful to have so much in the house, from lovely bed linens to herbs and spices! In the evenings we were able to wander down the road to enjoy the sunsets over the sea, which were spectacular. It was also a great base to see the colours of Connecticut in the fall, which happened to be perfect during our visit. We look forward to booking again when we next visit our daughter! Great rental home 1 block from beach. Kitchen is well stocked with all the condiments, spices, coffee filters, sugar, cream, ect that you normally would need. Master bedroom has nice king bed, desk for your laptop, plenty of storage. Comfortable living room. Easy walk to nearby restaurants. Great amount of space for rental price we paid!